Democrats are on a search-and-destroy mission against Donald Trump. They’re doing everything in their power to overturn the results of the 2016 election. But Democratic overreach could lead to good fortune for one Tim Tebow fan. Donald Trump’s presidency has been marred by one of the most unconscionable political witch hunts the country has ever seen. Trump had the audacity to defeat the embodiment of the Washington establishment — Hillary Clinton — and the establishment is striking back. Hillary and the Democrats began building the narrative of Russian collusion even before her defeat. Not even the media paid attention because Hillary was tapped to win. But Trump’s victory set off a chain reaction that’s looking more and more like a coup. Special counsel Robert Mueller isn’t investigating a crime, he’s looking for one, and he won’t stop until he finds something. Mueller’s pursuit of Trump and his associates gets murkier and swampier by the day. New York Attorney General-elect Letitia James is not only doing the same thing, she admitted it. That is a witch hunt, plain and simple. It shouldn’t come as a surprise considering James’ radical background. She’s a member of the far-left Working Families Party, an offshoot of the now defunct ACORN, which shuttered amid deep corruption. As a Public City Advocate, she petitioned to prohibit banks from working with gun manufacturers. James is a wild leftist who currently has her sights on the Trump Foundation. Even though the Clinton Foundation operated as a veritable slush fund — a 2014 audit showed less than 4% of funds went to charities — the Clintons were let off the hook. But somehow the Trump Foundation, with a fraction of the Clinton Foundation revenue, was “problematic” for James. Trump agreed to dissolve the foundation and sell off all assets. One of the items was a Denver Broncos helmet autographed by Tim Tebow. 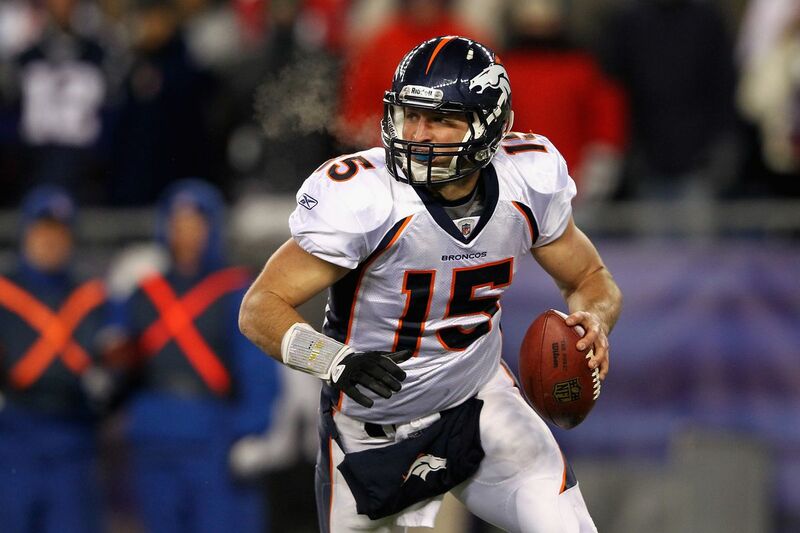 Tebow led the Broncos to an improbable playoff appearance and an upset victory over the Pittsburgh Steelers. Tebow has since retired from football in pursuit of playing Major League Baseball. His critics called it a publicity stunt, but Tebow kept his head down and did the work. After two seasons, Tebow was poised for a call-up to The Show by the New York Mets, but a late-season injury dashed that dream. Former Mets General Manager Sandy Alderson had high hopes for Tebow, but he was fired after a disappointing season. That left Tebow’s baseball future in limbo, but incoming General Manager Brodie Van Wagenen has similar faith in Tebow. Van Wagenen recently said Tebow is “one step away” from making the big leagues, which would be a massive achievement after a decade-long hiatus from baseball. Tebow’s Broncos helmet is definitely a collector’s item and a testament to the fruits of hard work and perseverance. Unfortunately, it will be changing hands under the grimiest of circumstances.